How fun is puffy paint? 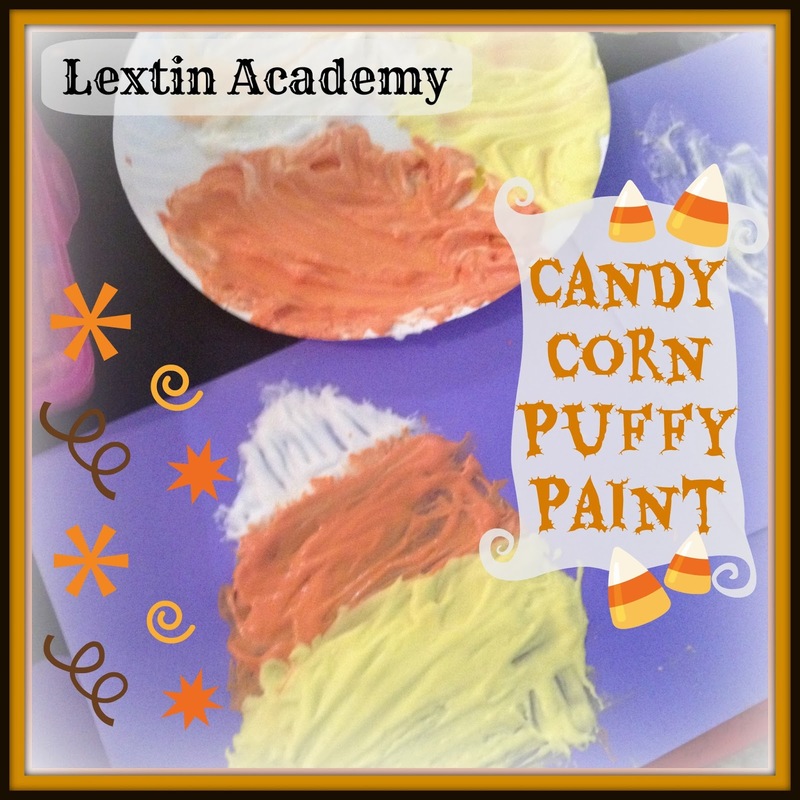 We made our own candy corn paint and the kids had fun creating. The pictures were supposed to be of candy corn but they didn’t all turn out quite that way……oh well! It was still fun! 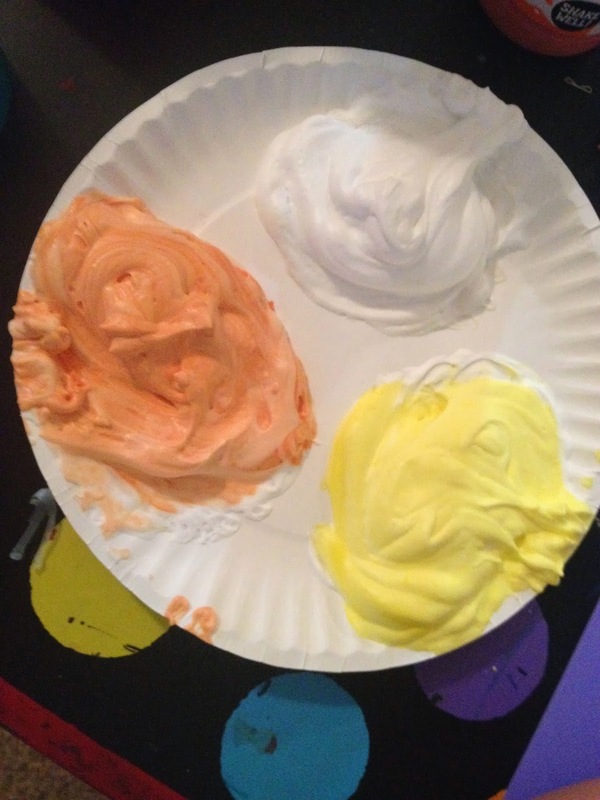 Squirt shaving cream on a plate and add glue. Then stir in colored paint until you achieve the shade you want. Then paint away! Once the paint dries, it will be a fun foamy texture.